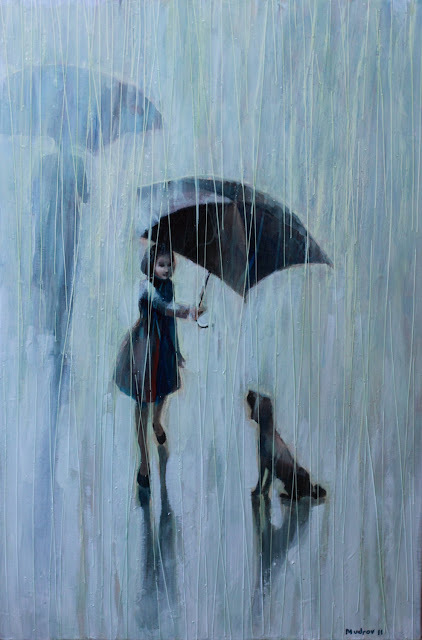 A little girl trying to cover a stray dog with her umbrella…this fantastic original painting is available to own as a canvas print, a poster print or poster board – starting at just $7. This really caught my eye today; thanks for sharing it. Thanks Laura, I'm really liking the long reflections on the floor.